The British engineering and propulsion giant Rolls-Royce is aiming to secure the engine development and production contract for Turkey’s next-generation fighter (Milli Muharebe Uçağı) program, the TFX. As per the Turkish news outlet Akşam (quoting state-run Anadolu Agency), the license was issued to free all British companies involved in the TFX to export the requisite technology necessary for the program to Turkey. It is essentially a blanket license designed to support the British defence industry in Turkey. Rolls-Royce is a partner of the Light Helicopter Turbine Engine Company (LHTEC), which had provided the CTS800 turboshaft engine for use on the Turkish Aerospace Industries (TAI) T129 ATAK attack helicopter. 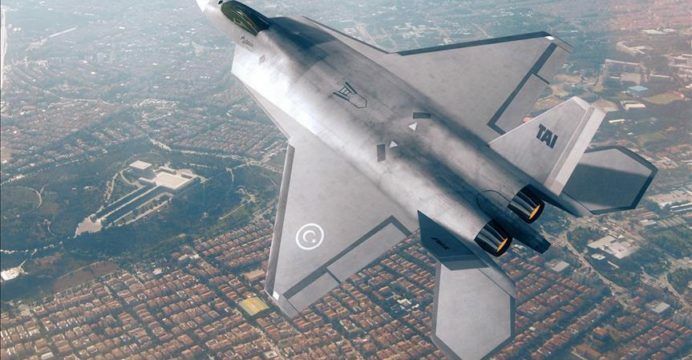 TAI intends to have the TFX conduct its maiden test flight in 2023, to commemorate the establishment of the Turkish Republic. In January, TAI and the Turkish Undersecretariat of Defence Industries awarded BAE Systems a £100 million-plus contract to provide technical and design support to the TFX. Turkey intends to supplant its F-16 fleet with the TFX. In addition, Ankara aims to export the TFX. TAEC was formed following a year of negotiations between Kale Group and Rolls-Royce. The intent of the partnership was to develop an original turbofan platform for use on the TFX. Rolls-Royce is a member of EuroJet Turbo GmbH, the consortium responsible for the EJ200 (which powers the Eurofighter Typhoon). However, the TAEC turbofan is expected to be a different design. However, in 2015 EuroJet did sign an agreement with Aselsan concerning the TFX, but it is unclear where this agreement stands today. As per a report by MSI Turkish Defence Review from June (2017), Rolls-Royce committed to training 350 Turkish engineers and to utilize as much Turkish technical capacity as possible for the design, development and production of the turbofan engine. TAEC would also establish a research and development centre in Istanbul. TAEC was aiming to have the engine enter serial production by 2030, though a design meeting the basic needs of the TFX would be ready in time for the TFX’s target maiden test flight date in 2023.